Around 1011, England produced what would become one of the most lasting helmets of the Medieval Era. This Reinforced Medieval Kettle Helm is of the same type of helmet that was favored by foot soldiers and infantry throughout and beyond the age. While this kettle hat was regarded as inferior by the noble classes for lacking the courtly appeal of the more elaborate knightly helmets, it was greatly favored by all others, because it offered a superior degree of protection, without hindering head-movement or decreasing vision. On this model, the skull-cap is reinforced by three metal strips, riveted across the centerlines of the helmet, as well as around the brim of the skull-cat. These reinforcements help to protect from impacts to the skull, while also helping to guide blows away from the more vulnerable parts of the head, too. The brim of the helmet enhances that function, keeping raining blows from falling onto the wielder or into their face. 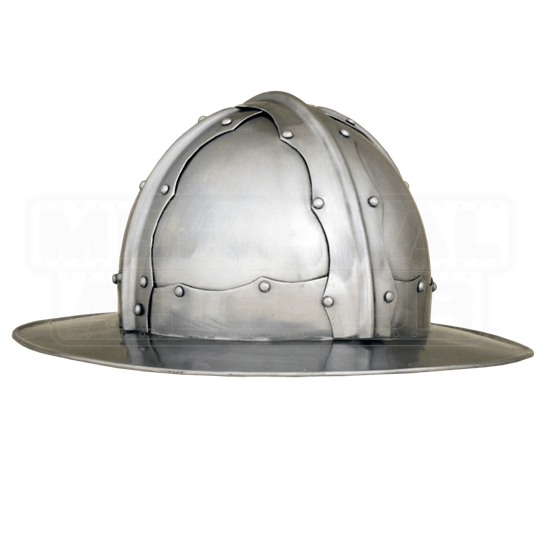 This helmet is made entirely in 16 gauge steel, which makes it perfect for reenactment, SCA, and casual training or fighting, as well as for costuming. It also features a liner on the interior. 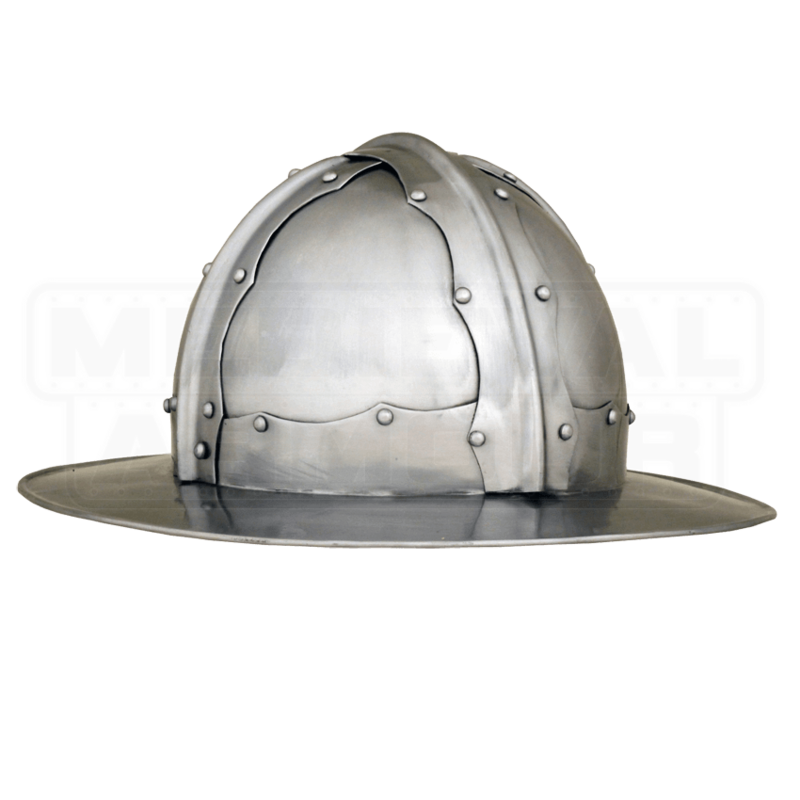 When it comes to pure protection, it is best not to skimp, and this Reinforced Medieval Kettle Helm offers plenty of solid protection at a low price that even the lowliest of soldiers and fighters can afford.